By 4,000 B.C. wheat farming had spread to Asia, Europe and North Africa. New species of wheat developed because early farmers probably selected kernels from their best wheat plants to use as seeds for planting the following year's crop. That way, only the best wheat qualities were passed from one generation to the next. Soon wheat became an important world wide crop. Wheat is a cereal grain, originally from the Levant region of the Near East and Ethiopian Highlands, but now cultivated worldwide. In 2010 world production of wheat was 651 million tons, making it the third most-produced cereal after maize (844 million tons) and rice (672 million tons). In 2009, world production of wheat was 682 million tons, making it the second most-produced cereal after maize (817 million tons), and with rice as close third (679 million tons). This grain is grown on more land area than any other commercial crop and is the most important staple food for humans.World trade in wheat is greater than for all other crops combined. Globally, wheat is the leading source of vegetable protein in human food, having a higher protein content than either maize (corn) or rice, the other major cereals. In terms of total production tonnages used for food, it is currently second to rice as the main human food crop and ahead of maize, after allowing for maize's more extensive use in animal feeds. 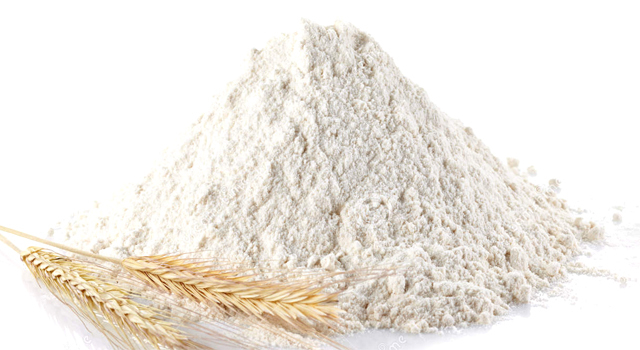 Radika Exim has a special expertise in dealing with Wheat Flour for Bread making and other Bakery products like Buns, Buiscuits, French Bread etc. Note : We can provide customized packaging as per your requirements. Please feel free to contact.